Carmen is often described as the most popular opera of all time, so it should come as no surprise that its music has been referenced by everything from the Muppets to Major League Baseball. Here we’ve compiled some of our favorite nods to Bizet’s masterpiece. 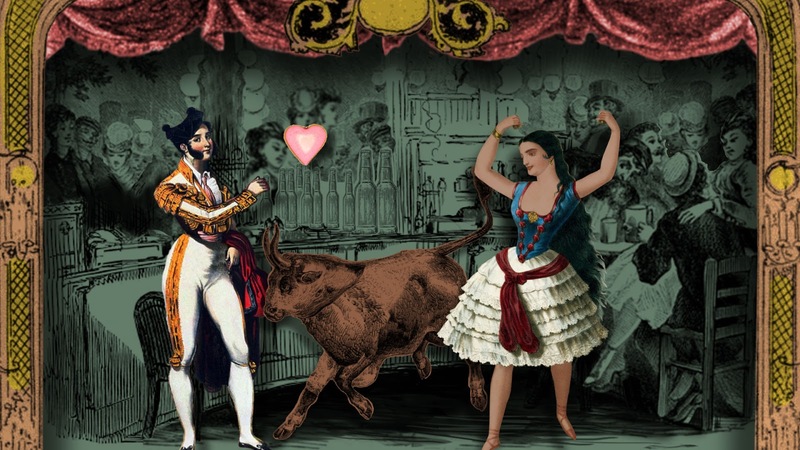 In Carmen’s first iterations (the 1845 novella by Prosper Mérimée and 1875 opera by Bizet), white French audiences viewed the exotic bohemian color, bull fights, and seductive so-called Spanish dances from a comfortable distance. Centuries later, African and African American adaptations of Carmen have interrupted the transgressive role of Carmen. In all-Black settings such as the 1954 film Carmen Jones and Carmen: A Hip Hopera (2001), Carmen has become less of a story of an outsider and the "exotic other." Sesame Street also used the “Habanera,” in a clip starring mezzo-soprano Denyce Graves, regarded as one of the great Carmen singers of all time, and one of the great mezzo-sopranos of the 20th century. Those tuned into 'toons in the ‘90s may be more likely to remember The Animaniacs’ take on Carmen, in a segment entitled "O Silly Mio." Fans of the FOX show Family Guy may remember a 2002 episode in which Brian the dog bonds with an elderly woman after hearing her sing the "Habanera." Despite the fact that Carmen is a French opera with a Spanish setting, its music has frequently been heard in pasta commercials. The logic is a little flawed—these commercials are trying to emphasize Italian culture, after all. But it adds a new level of (unintentional?) humor to something like this Bertolli spot. Perhaps the most memorable of these references is the appearance of the “Habanera” in the 2009 hit Disney/Pixar film, Up. Carmen plays May 4-19, 2019 at McCaw Hall.